All three occupants of a black Fiat 500 were killed in a crash on the A428 last night. A motorist and two passengers have sadly died after a serious crash on a road near Northampton last night (April). The collision, which involved a black Fiat 55 and a silver Mercedes estate vehicle, occurred at about 9.20pm on the A428 Bedford Road, Denton on April 9. For unknown reasons, the Fiat crossed over to the opposite carriageway, colliding head-on with the Mercedes. The man driving the Mercedes was taken to University Hospital Coventry with serious, but not life threatening, injuries. All three occupants of the Fiat, the driver and two passengers, died at the scene. 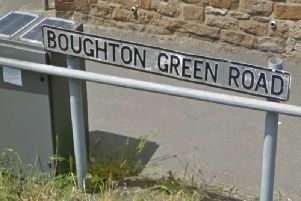 Anyone that witnessed the collision or has any information is requested to contact the Serious Collision Investigation Unit, Northamptonshire Police on 101 or call the Drivewatch Hotline on 0800 174615.